Researchers target neurons involved in compulsive drinking to reverse alcohol dependence in rats. Alcoholism is a chronic relapsing disorder associated with compulsive drinking, loss of control over intake, and emergence of a negative emotional state during abstinence from the drug. Special emphasis has been placed on the central nucleus of the amygdala because this nucleus is a major component of the extended amygdala, which has been implicated in regulating alcohol-drinking behaviour. Now, a study from researchers at The Scripps Research Institute (TSRI) shows in an animal model, that there may be a way to switch off the urge for compulsive drinking. The team state that they completely reversed alcohol dependence by targeting a network of neurons. The study is published in The Journal of Neuroscience. Earlier studies from the lab showed that frequent alcohol use can activate specific groups of neurons; in both humans and rats, these neurons make up only about 5% of the neurons in the brain’s central amygdala. Data showed that the more a person drinks, the more they reinforce activation in this neuronal ‘circuit,’ which then drives further alcohol use and addiction. 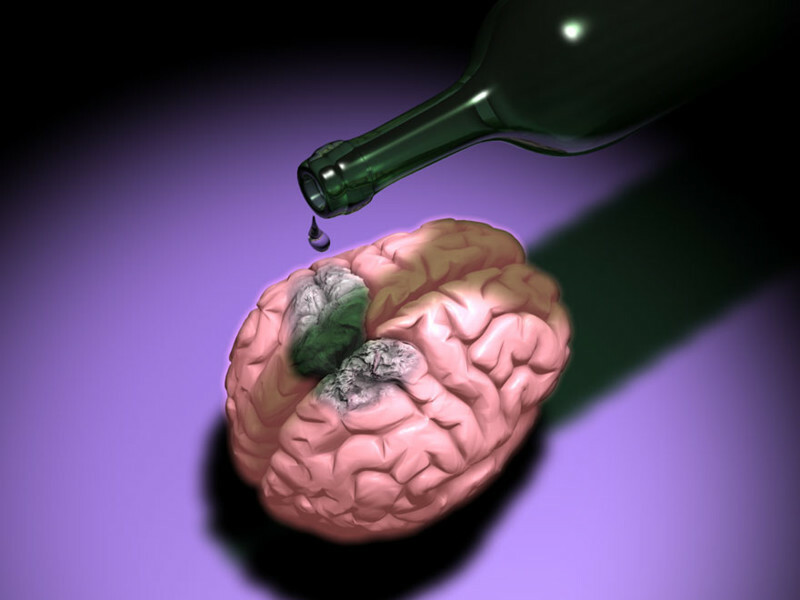 Therefore, past results suggested that the brain carves a special path between alcohol and reward. The current study investigates whether there is a way to influence only the select neurons that form these circuits. The current study utilised rat models of alcohol dependence, designed to express a special protein to distinguish only the neurons activated by alcohol. The rats gave the group a potential new window into how these circuits form in human brains, where alcohol-linked neurons are harder to identify without the use of protein labels. The rats were then injected with a compound that could specifically inactivate only alcohol-linked neurons. Results show that these rats completely cease their compulsive alcohol drinking, a change that lasted for as long as the rats were monitored. The researchers went on run the experiment a second and then a third time, with data showing that each time, the rats ceased drinking compulsively. The lab note that these rats were still motivated to drink sugar water, indicating that only alcohol-activated neurons had been targeted, not the brain’s overall reward system. They go on to add that the rats also appeared to be protected from the negative physical symptoms of alcohol withdrawal, such as shaking. The team surmise that their findings show that alcohol dependence recruits neurons in the central nucleus of the amygdala. They go on to add that here, they found that inactivation of a specific dependence-induced neuronal ensemble in the central nucleus of the amygdala reversed excessive alcohol drinking and somatic signs of alcohol dependence in rats. For the future, the researchers state that the next step will be to track the formation of alcohol-activated neuronal circuits over time and to find a way to translate this work to humans.